Whether you’re a Start-Up or a well established business, the importance of relationships can never be underestimated. Now for us, as a predominantly digital marketing agency, one would think that the answer would be rather obviously, ‘on-line’. However, even in this age of seemingly all-consuming internet usage it takes time to establish a digital presence. As our business has grown over the past 2 years, 90% of our clients have evolved from recommendations and referrals. 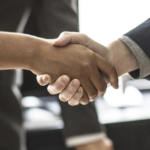 These referrals ofter come out of the blue – from a chance meeting or an introduction from a business associate who has met a third party who might need our expertise. Likewise, one of our biggest clients, a global automotive organisation, have built a multi-million pound business without any sales or marketing function, based entirely upon relationships and recommendations. The learning from our very short story is that relationships are as fundamental to the success of large established, global organisations as they are to SME’s and start-ups. In this article we have made it our business to curate some great tips on relationships in from HDCC members and loyal supporters. Relationships are fundamentally built on 3 things: trust, integrity and confidence. Keep up. This sounds obvious but it’s easy to forget to do it. If you don’t keep up with people it’s natural for you to fall off their radar and when they get an opportunity that can be referred to you, it can go elsewhere. Build trust. Don’t take advantage of people. Don’t spam them. Don’t assume that because you’ve exchanged cards with someone that they are interested in receiving your newsletter. The key to building trust is being honest. Network. Networking is the key to building successful relationships; there are many options available locally, as we’ve mentioned before. The Harlow Chamber of Commerce is extremely active organising two or three events per week. These events are often educations, which is an added bonus. Even if you aren’t too much of a people person, putting yourself out there a little but can help. You don’t have to be the life of the party. People would rather you just be yourself. Show interest. Unless you’re a children’s entertainer or a musician showing off is not going to do you any favours. It’s not rocket science to realise that early steps to gaining respect and building a relationship is to show interest in other people. Listen to what people have to say and show sincere interest in them. Ask questions about their job and kids. Everyone is impressed when someone shows they’ve taken the time to remember their stories. Work hard. People will invest in those who provide results and deliver. When someone asks for something, give a little more. Deliver early and take initiative to help in ways you weren’t asked. Focus on giving. Many people want to build relationships so that the can have someone to help them out when they need it. You need to have a Machiavellian attitude. Always think about ways you can help people in your network. They’re far more likely to return a favour than they Pareto go out of their way for you, especially early in your relationship.